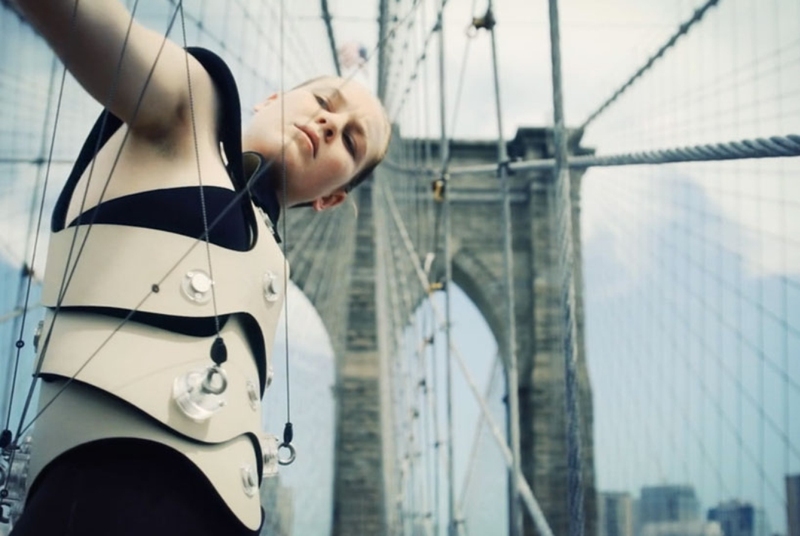 The sound and performance artist Di Mainstone had an epiphany when walking across the Brooklyn Bridge one day; she realized that it looked a lot like a harp, with the suspension cables resembling the instrument’s strings and the deck and towers mimicking its neck and body. And the bridge not only looked like a musical instrument. The chatter and footsteps of pedestrians, the low rumble of traffic, and the slight thrum of the suspension wires also evoked the sound of a symphony or piece of music—albeit a slightly cacophonous, often noisy one. 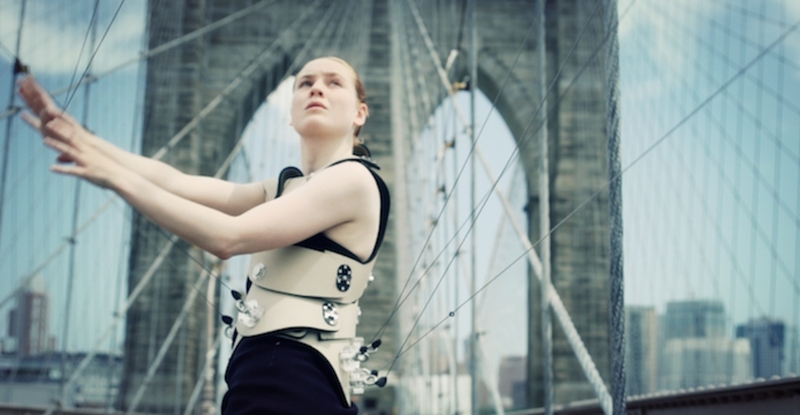 This moment of whimsy has inspired the Human Harp, Di Mainstone’s latest project, which allows one to play the bridge as a musical instrument. The artist envisions the Human Harp as both a physical connection and interactive performance piece. Read the full piece on Architizer here. This entry was tagged architecture, art, Brooklyn Bridge, Human Harp. Bookmark the permalink.